Galaxy S7 measures to be 142.4*69.6*7.9mm and is having a weight of 152 grams. Galaxy S7 supports Nano-SIM and supports facilities like Samsung Pay. Also Galaxy S7 is IP68 certified which comes with dust proof as well as water resistant which can survive a depth of upto 1.5 metres with a time span of 30 minutes. The display is made of 5.1 inched screen with a resolution of 1440*2560 pixels. This display is loaded with super AMOLED capacitive technology supporting multi-touch facility. This display is also protected by Corning Gorilla Glass 5. Galaxy S7 is powered by Qualcomm MSM8996 Snapdragon 820 or by Exynos 8890 processor. The processor is supported with extensive graphics by Adreno 530 Mali-T880 MP12.Galaxy S7 is loaded with a RAM of 4GB, which will help the smartphone to function without any processing lags. Internal memory is stipulated at 32GB, but it can be expanded with the help of microSD memory card to upto 200GB.Galaxy S7 also supports OneDrive which will provide a cloud storage upto 115GB. Galaxy S7 runs on Android OS of v6.0 Marshmallow. Galaxy S7 is loaded with a primary snapper of 12MP lens. This camera is enhanced with features like Face Detection, Autofocus, Optical Image Stabilization, HDR, Panorama and dual-Tone LED flash. This camera can be used to record video at 2160 pixels @30fps, 1080 pixels @60fps and 720 pixels @120fps. The front cam is loaded with 5MP lens supported by Dual Video Call facility and Auto HDR. On the communication end Galaxy S7 supports nano-SIM of either 3G or 4G. In addition Galaxy S7 also supports WiFi connectivity with a bandwidth of 802.11a/b/g/n/ac.Galaxy S7 is also loaded with Bluetooth of v4.2, GPS with A-GPS, NFC and Infrared Port. The smartphone is also loaded with one microUSB port of v2.0. Galaxy S7 is loaded with Non-removable Li-Ion battery with a capacity of 3600mAh. This battery is enhanced with Quick Charge 3.0 which can charge upto 83% in just 30 minutes.Galaxy S7 is loaded with various sensors like Fingerprint sensor, Accelerometer, Gyro, Heart Rate, SpO2, Barometer, Compass and Proximity.Galaxy S7 has already showed up at MWC, but it will make its way for the markets across the world by March. Users can select from various colour variants of Black, Silver, Gold and White. Galaxy S7 Edge measures to be 150.9*72.6*7.7mm with a weight of 157 grams.This latest flagship supports Nano-SIM. The back panel of Galaxy S7 Edge is made of Corning Gorilla Glass 5.Galaxy S7 Edge is IP68 certified which means it can survive upto a depth of 1.5 meters upto 30 minutes. In addition this smartphone supports Samsung Pay. The screen is 5.5 inches wide loaded with super AMOLED capacitive touchscreen with a screen resolution of 1440*2560 pixels. This screen is protected by Corning Gorilla Glass 5. Galaxy S7 Edge is powered by Qualcomm MSM8996 Snapdragon 820 or Exynos 8890 Octa Core processor. Along with this the graphics is provided by AdrenoMali-T880 MP12 GPU. Internal memory of Galaxy S7 Edge comes to be 32GB, but it can be expanded upto 200GB with the help of external microSD memory card. In addition another 115GB of cloud storage is provided with the help of OneDrive.Galaxy S7 Edge is loaded with a RAM of 4GB, which helps in running the device without any processing lag. 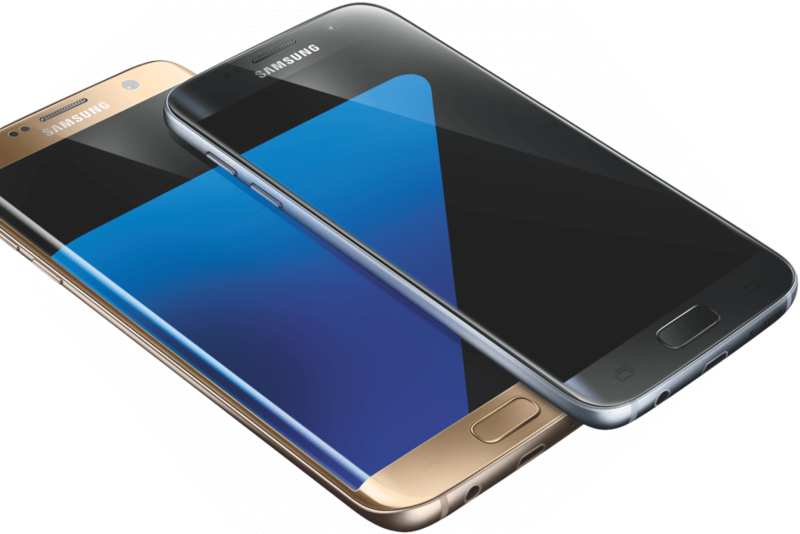 Users are allowed to work with Galaxy S7 Edge with the help of Android OS of v6.0 Marshmallow. The main snapper of Galaxy S7 Edge is loaded with 12MP lens. This camera is enhanced with features like Face Detection, Autofocus, Optical Image Stabilization and LED Flash. It also supports video recording with 2160 pixels @30fps, 1080 pixels @60fps and 720 pixels @120fps. 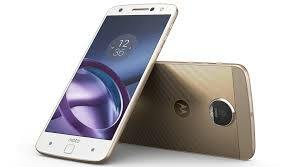 The front cam is loaded with 5MP lens along with features like Dual Video Call and Auto HD Recording. On communication side, Galaxy S7 Edge supports either 4G or 3G nano-SIM. Handset also supports WiFi connectivity with a bandwidth of 802.11a/b/g/n/ac along with Bluetooth connectivity with v4.2.Galaxy S7 Edge also supports GPS with A-GPS and NFC.Galaxy S7 Edge is also loaded with Infrared Port along microUSB of v2.0. Galaxy S7 Edge is loaded with a Non-Removable Li-Ion battery with a capacity of 3600mAh.Along with Quick Charge 3.0, the battery can be charged upto 83% within 30 minutes. Galaxy S7 Edge is also loaded with sensors like Fingerprint, Accelerometer, Gyro, Proximity, Compass, Barometer, Heart Rate and SpO2. 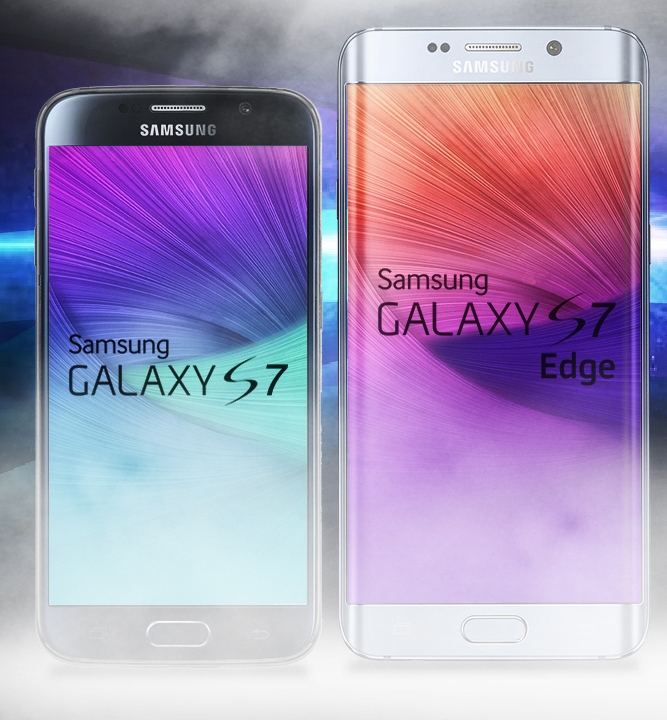 Company officials made it clear that they will be launching Galaxy S7 Edge to the market by March in four colour variants Black, Silver, Gold and White.